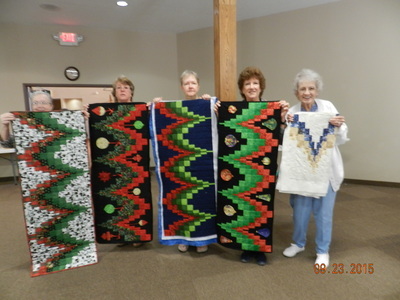 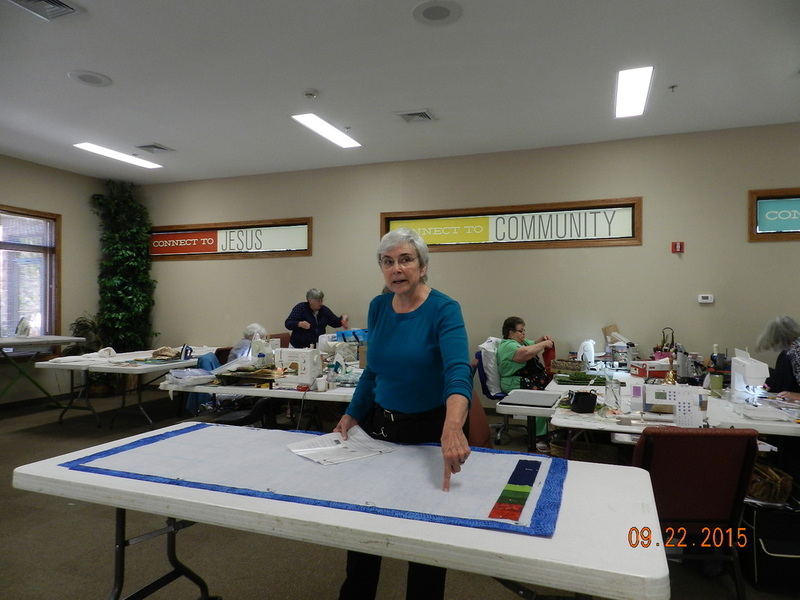 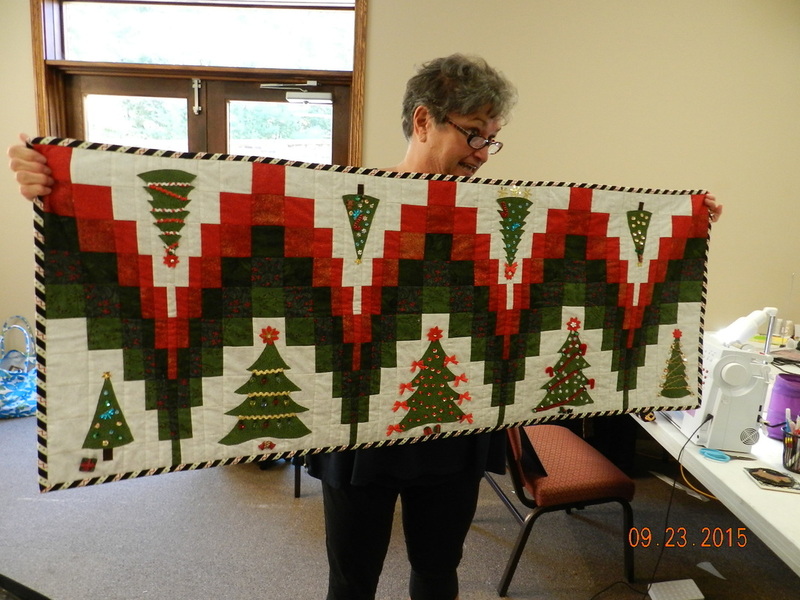 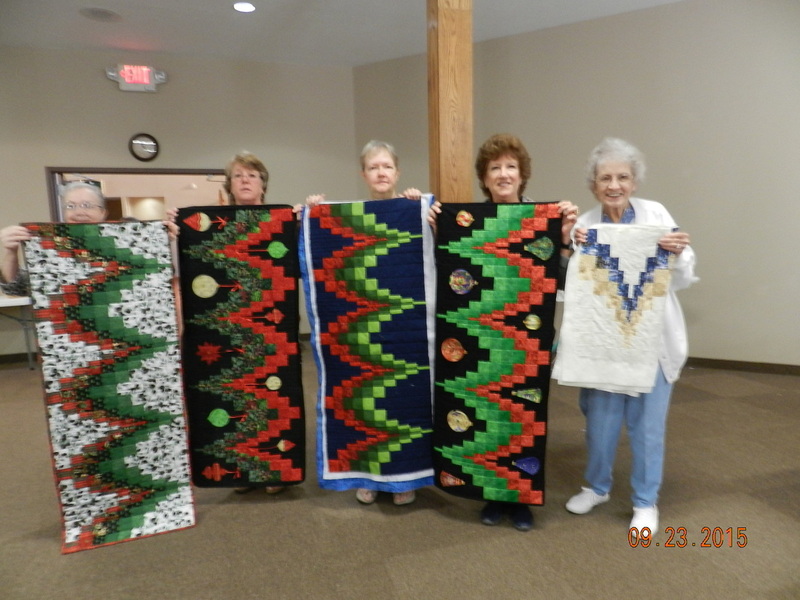 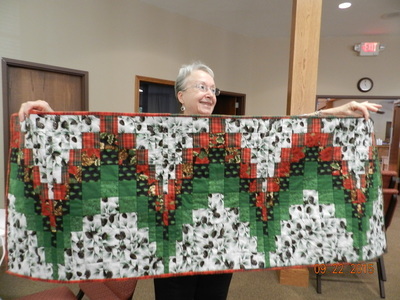 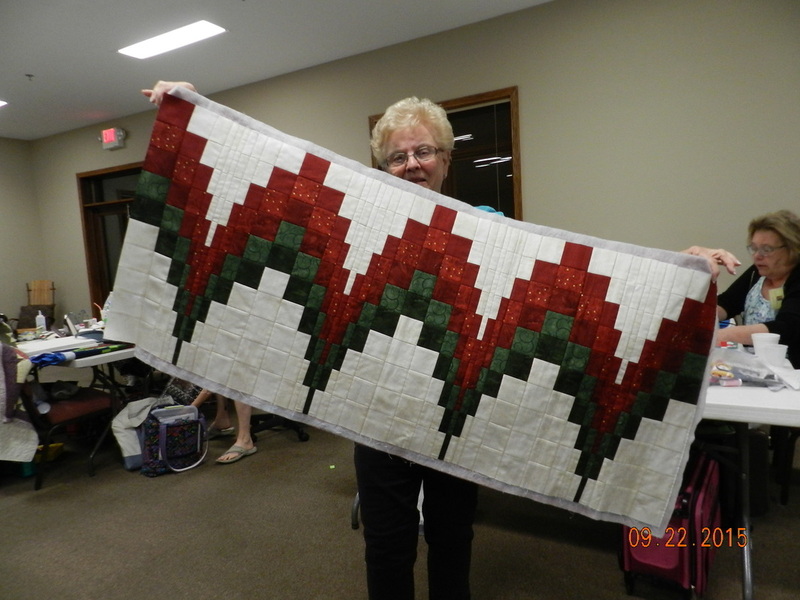 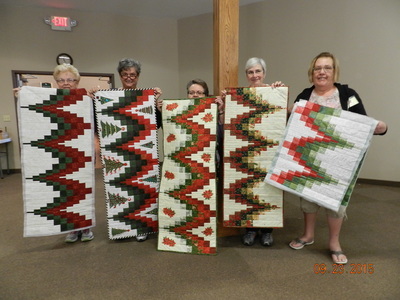 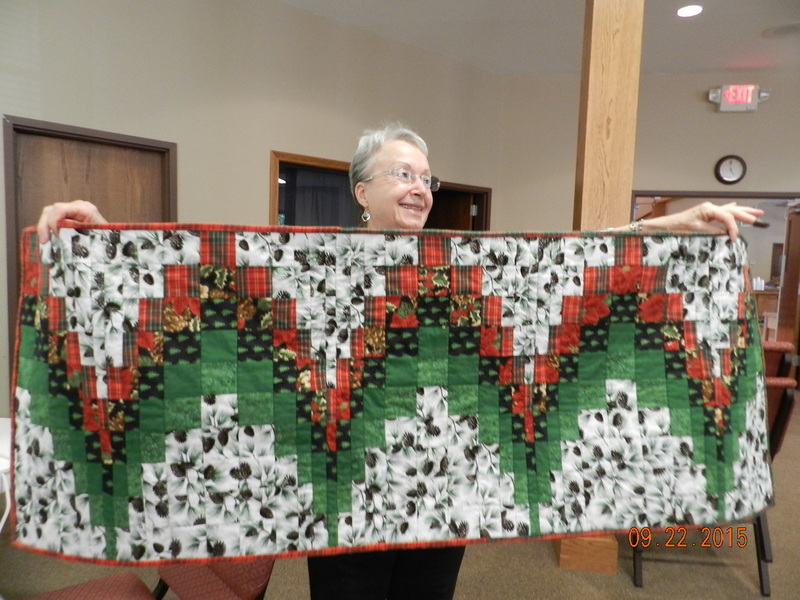 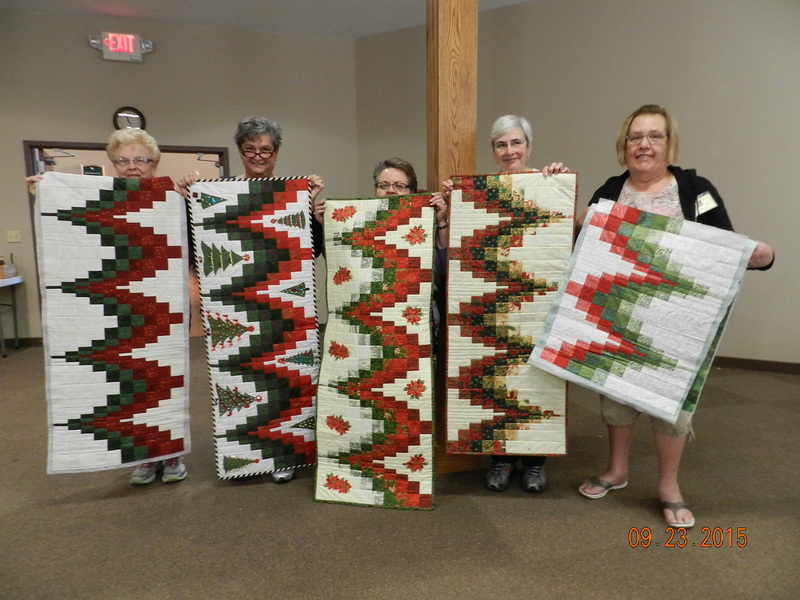 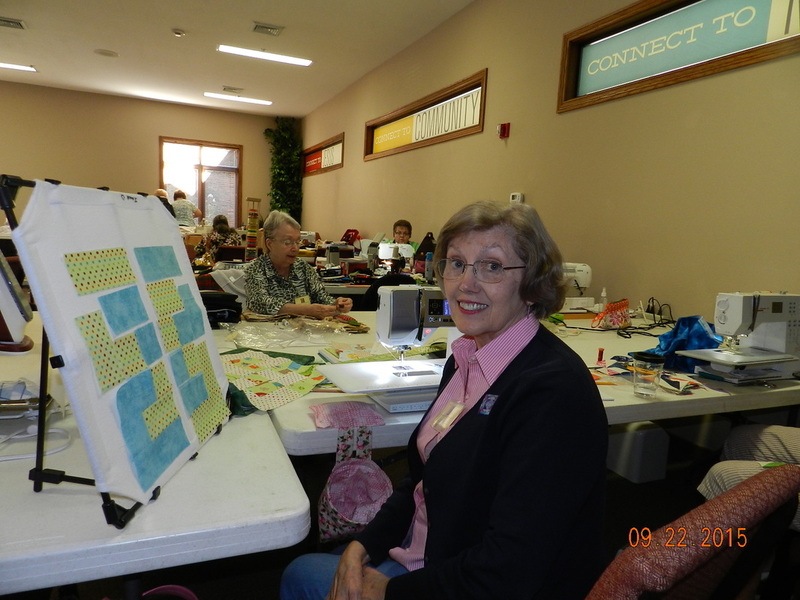 Thirty enthusiastic and avid quilters arrived at Country Lakes Christian Retreat Center with projects in hand. 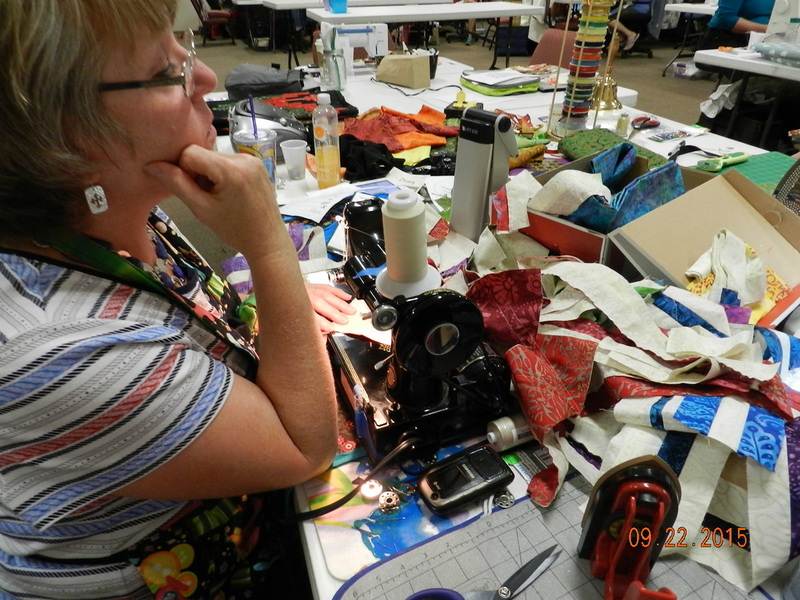 Many machines were humming right along when lunch was announced. 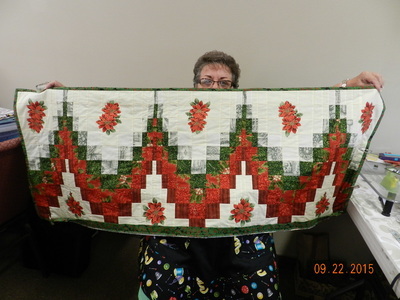 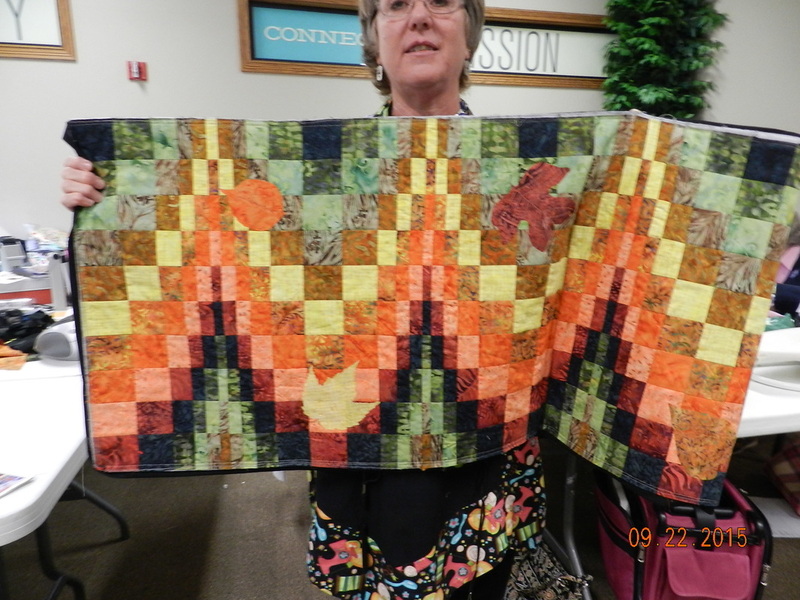 Some members can even make beautiful quilts out of chaos! Others are minimalists. 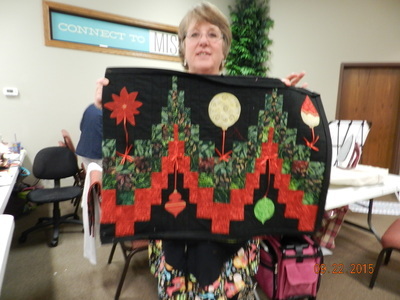 Enjoy the photo gallery to see the creativity of our members. 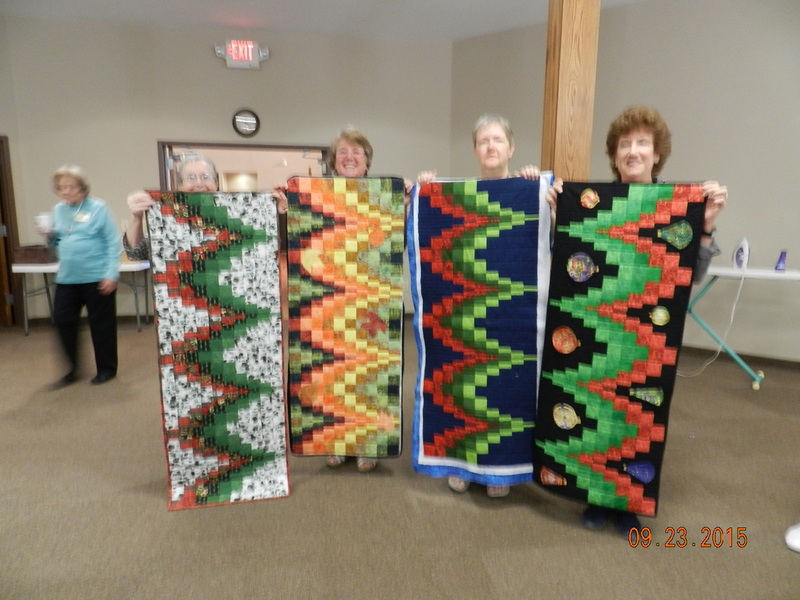 Congratulations to our Retreat Raffle winners. 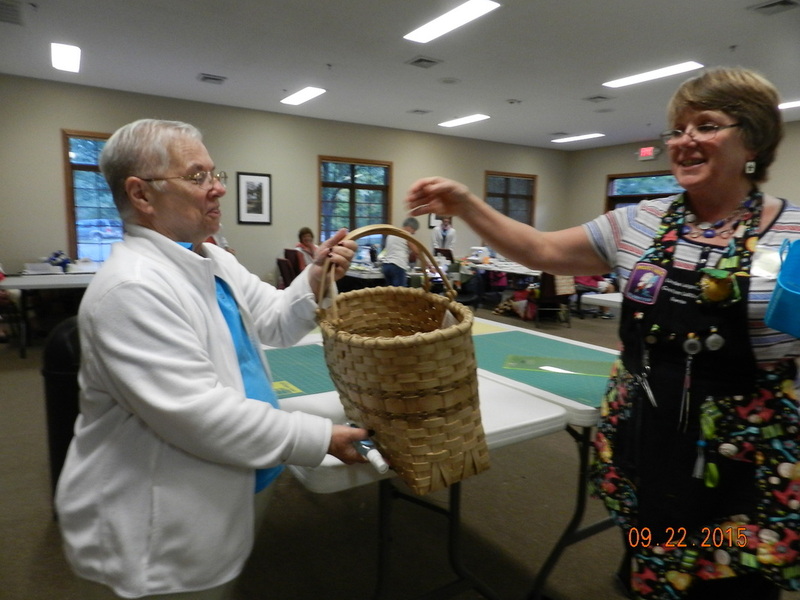 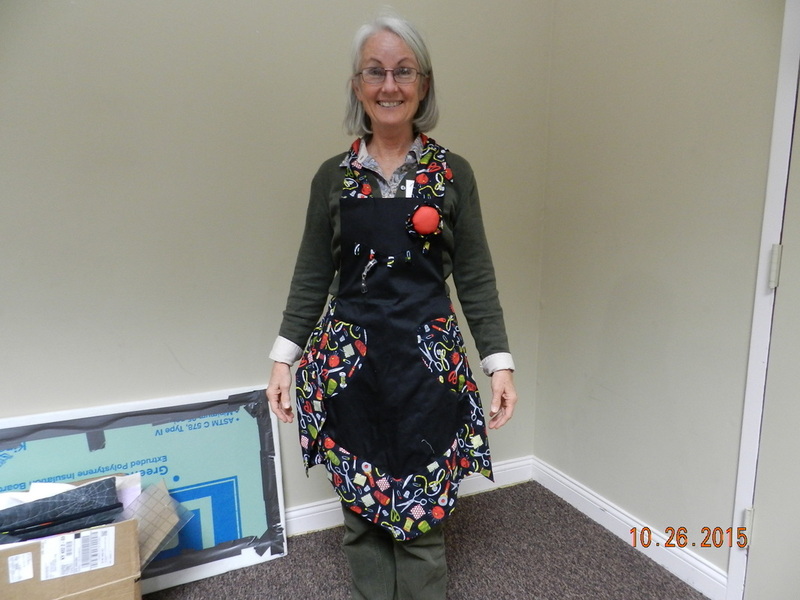 Mary K. won the Retreat Basket and Jane A. won our President's Sewing Apron. 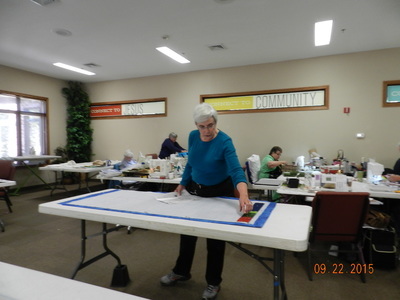 ​As usual, everyone had a wonderful time completing our projects. 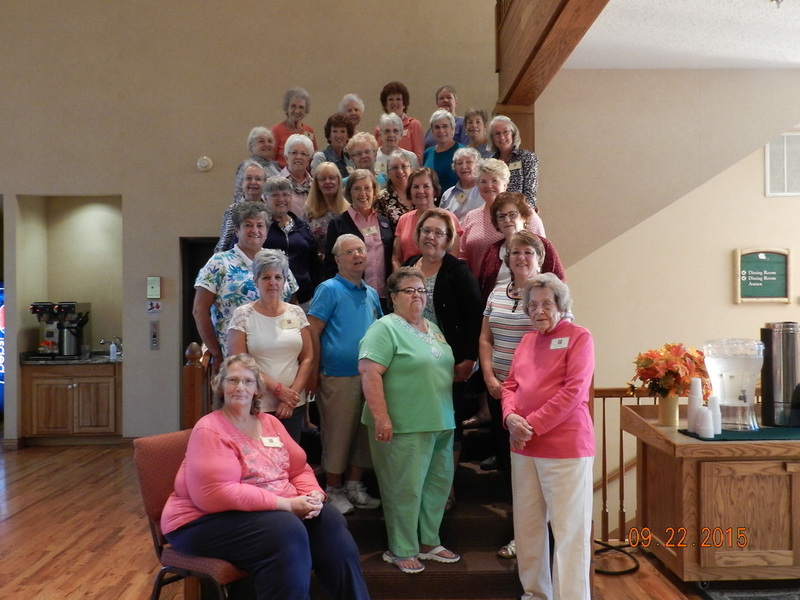 This retreat is our favorite event, and we look forward to this time of fellowship and creativity all year long. Look at the variety and creativity of that one pattern! A good time was had by all creating this wonderful table runner. And here are some of the many other quilty projects going on during Retreat.